Chitown! 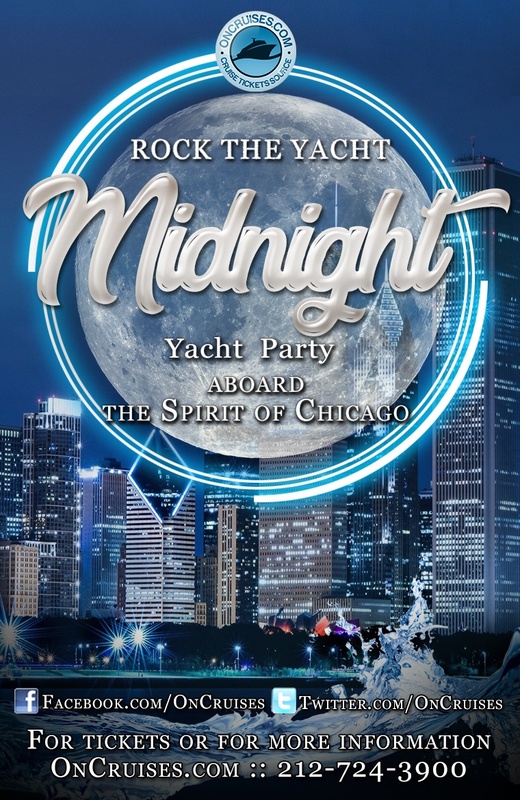 We’re kicking off the Chicago summer season with an excellent midnight affair cruising on one of the city’s best-kept secrets, The Spirit of Chicago Yacht. We have everything we need for the first yacht party of the summer season, all that's left is you. Tickets will move fast, so secure your spot on this inaugural Chicago summer shindig before it’s too late. Meet us at Navy Pier and start the summer with good vibes, great music, and unbeatable views of our amazing city on a #YachtyOnTheLake. Set sail aboard The Spirit of Chicago, a gorgeous, spacious yacht with three climate-controlled interior decks, multiple bars, and a sky deck. The party starts the second you board the boat. Mingle and make your way to one of the vessel bar areas and order yourself something nice. We’ve also got a live DJ playing the latest and greatest to keep the dance floor busy. We know you’re bound to take some amazing photos and vids while you’re cruising on our excellent midnight yacht party. So why not share those memories with the rest of us on social media? While you’re at it, don’t forget to tag us on Facebook, Twitter, and Instagram. Let everybody know where the real party’s at with our hashtags #YachtyOnTheLake and #ChiTownSummer. General Admission - Grants you permission to board an excellent midnight summer yacht party. Couple Package - Bring one other special person and have an amazing night! Entourage of Four - You and the crew can start the summer on a wild midnight yacht party! Alright, we’ve told you everything you need to know to start the Chicago summer season right. Now all that’s left is to make plans, tell a few friends, maybe pick out an outfit, and get those tickets. Hurry! We won’t be holding on to these tickets for too long.